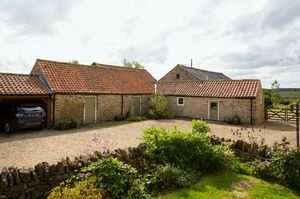 This traditional Yorkshire longhouse of considerable character dates from the 17th century and is reputed to be the oldest property in the village. 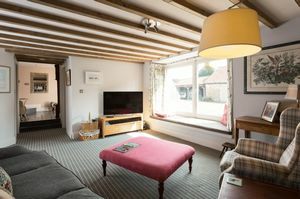 Lying perpendicular to the main street, it has all the advantages of being in the heart of the village without the disadvantages of being overlooked. 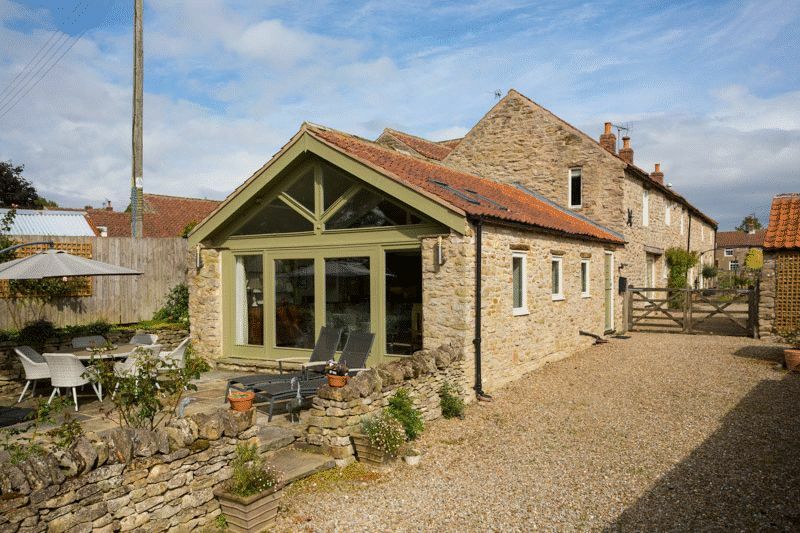 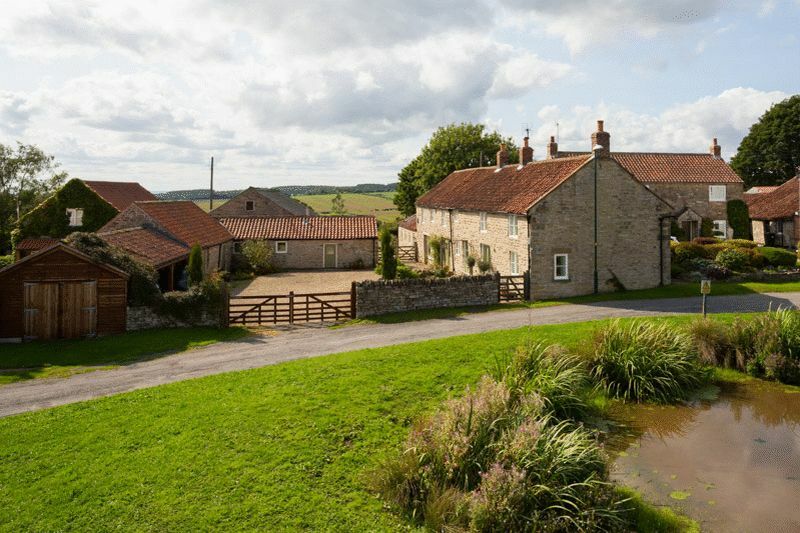 Over the years, the adjoining farm buildings have been successfully incorporated and remodelled to create a much larger property. 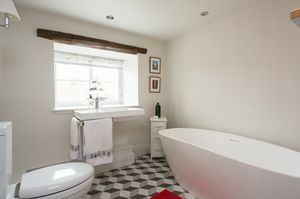 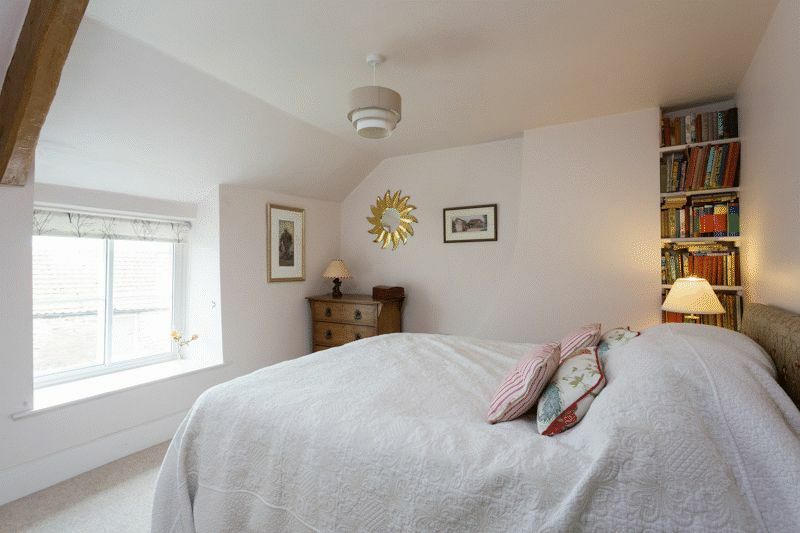 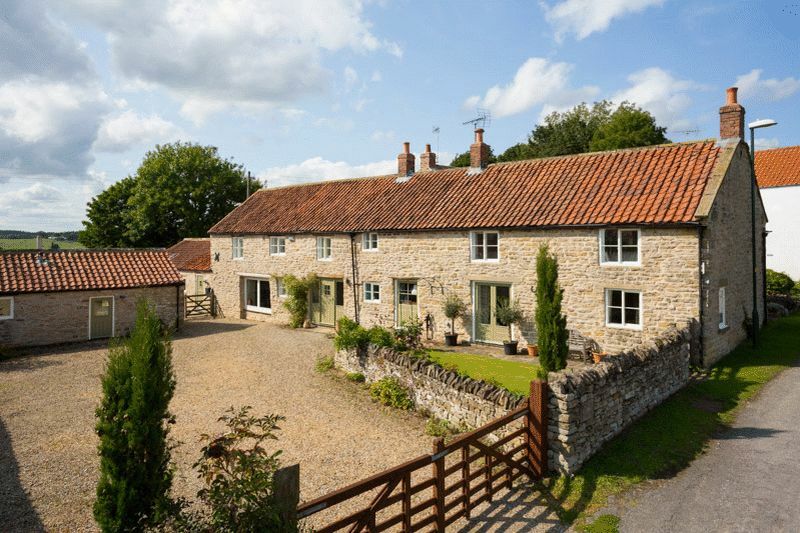 Beautifully renovated with new Yorkshire sash windows and underfloor heating, fully insulated and dry lined, this is an extremely comfortable and appealing house of great verstility. 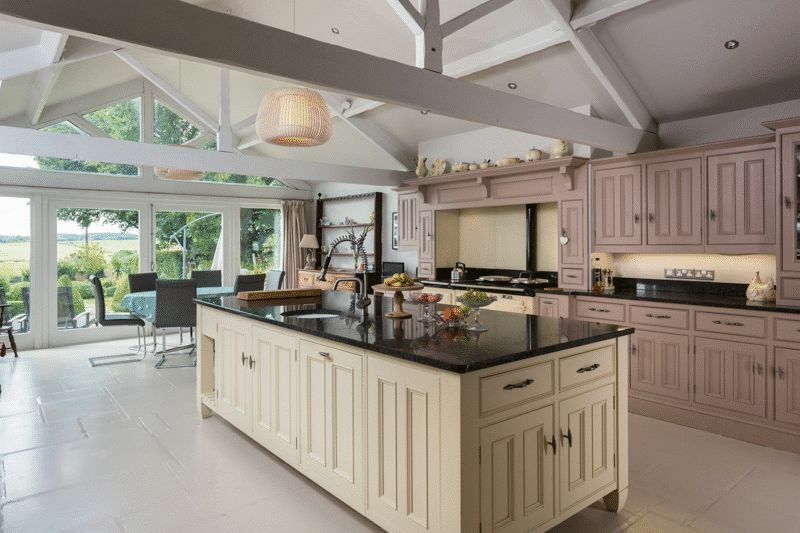 •	Fabulous kitchen breakfast/family room fully glazed on the western elevation with French doors facing the patio and formal gardens with glorious rural outlook beyond. 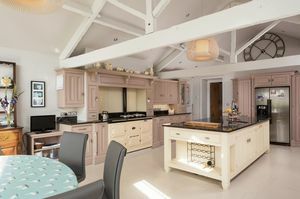 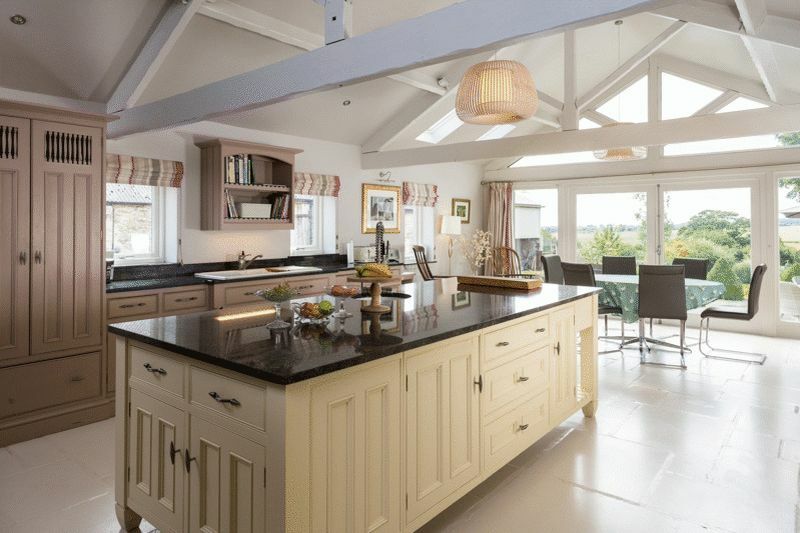 The kitchen by Hovingham Interiors has solid wood units, and includes granite work surfaces, Belfast sink, plumbed-in fridge freezer, kitchen island and 4-oven oil fired Aga. 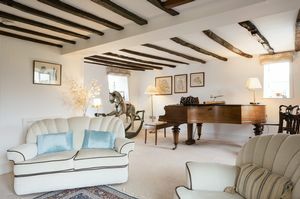 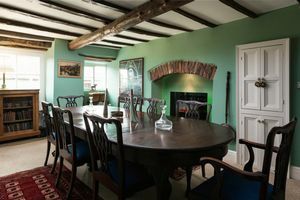 The whole has been redecorated within the last two years. 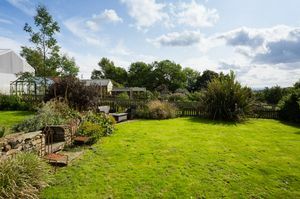 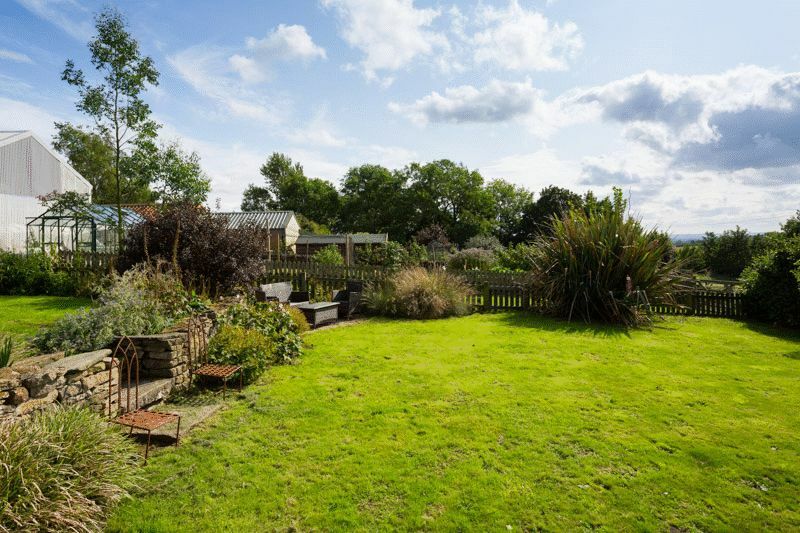 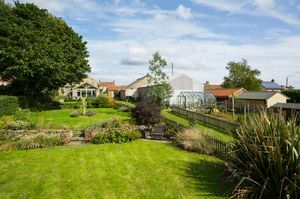 The property lies off a quiet lane and deep grassy verge with eponymous duck pond, the house itself sitting proudly perpendicular to the main street. 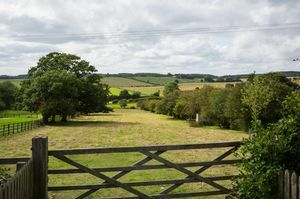 Timber gates open on to the gravel drive and parking area where the house faces the outbuildings. Here is a purpose-built double car port, and three loose boxes and a tack room with power, light and water. 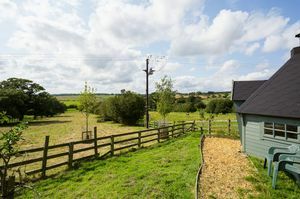 Additional timber gates give access to further outbuildings housing the utility room and store which together have planning permission to be converted in to a two bedroom cottage. 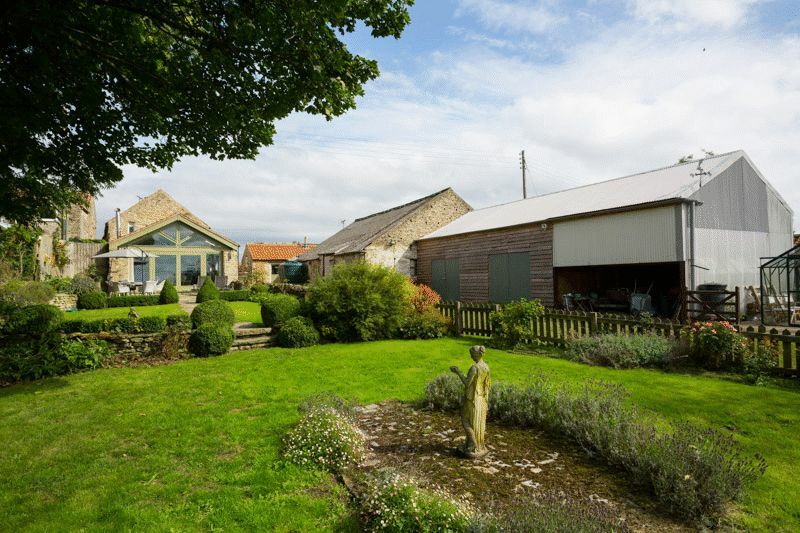 Adjoining these are two barns both with water, power and light. 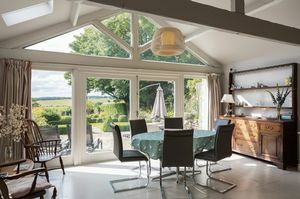 The first has a strong room connected to the property home security system; the second Dutch barn is weatherboarded to the north elevation and has a mezzanine level workshop. 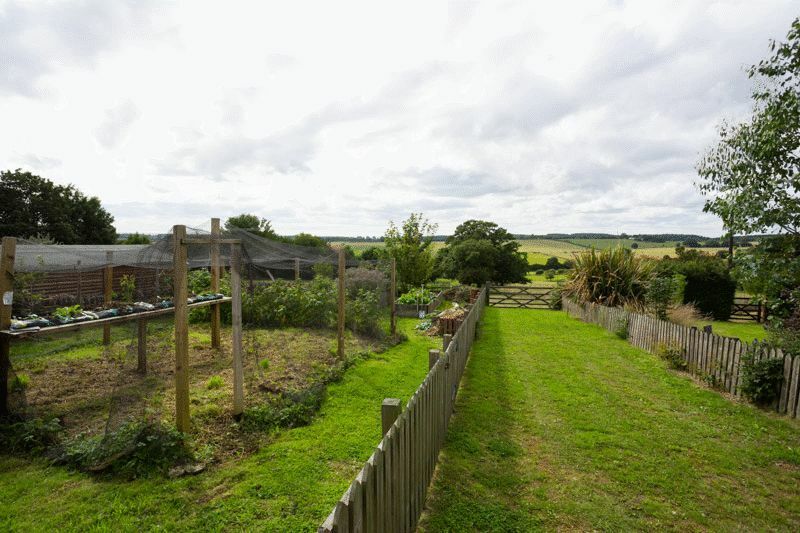 Behind the barns lies the functional garden area with a greenhouse and kitchen garden. The formal gardens sit immediately behind the house. 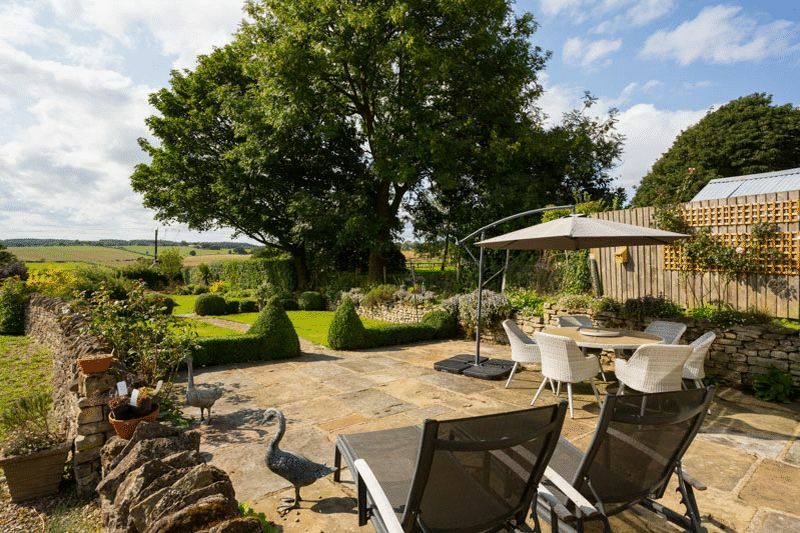 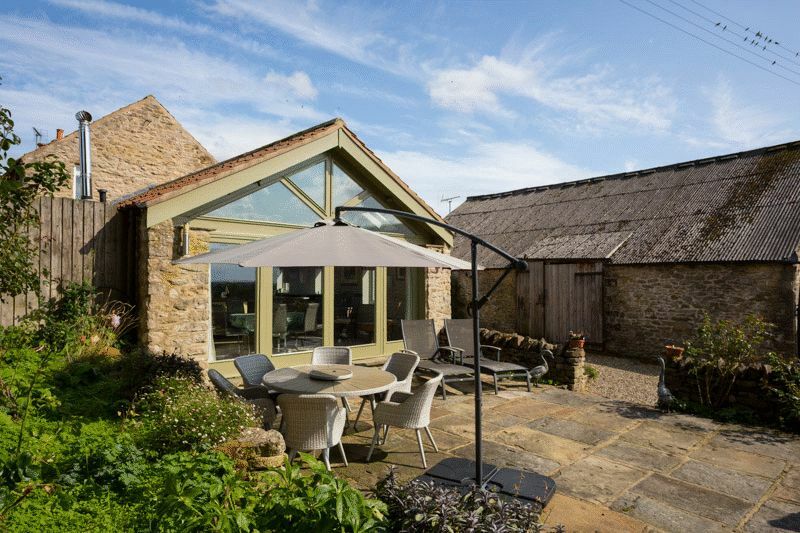 Accessed from the kitchen is a large and sheltered Yorkshire stone patio providing a perfect seating and al fresco area. 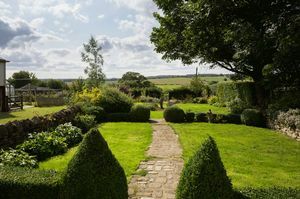 It falls away in gentle lawned terraces intersected by a stone path, each terrace divided by topiarised box hedging and edged with colourful borders and dry stone walls. Behind are glorious country views. 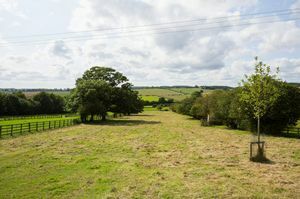 A central green path connects from the stables to the ‘long acre’, a fenced paddock of 1.4 acres fringed by trees. 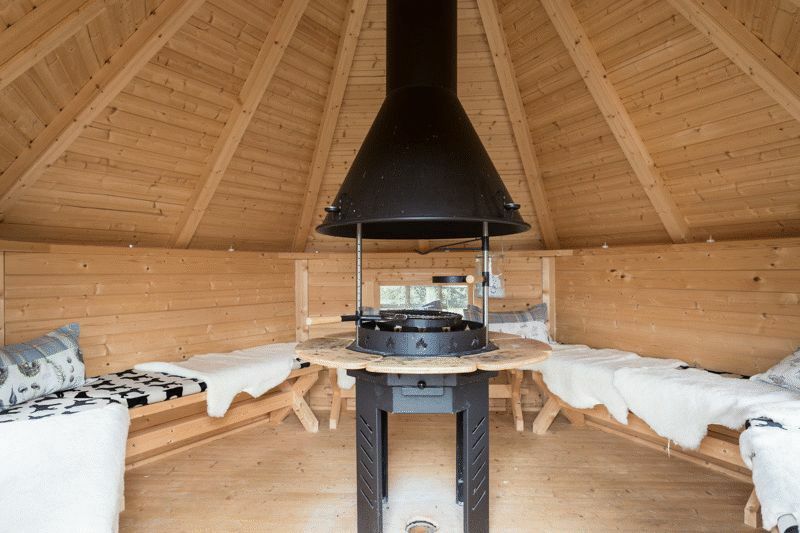 Tucked away to the far side of the garden is a small area with a timber hexagon Grill House or traditional Finnish Grillikota with flue and air-flow, perfect for all-year-round barbecue gatherings. 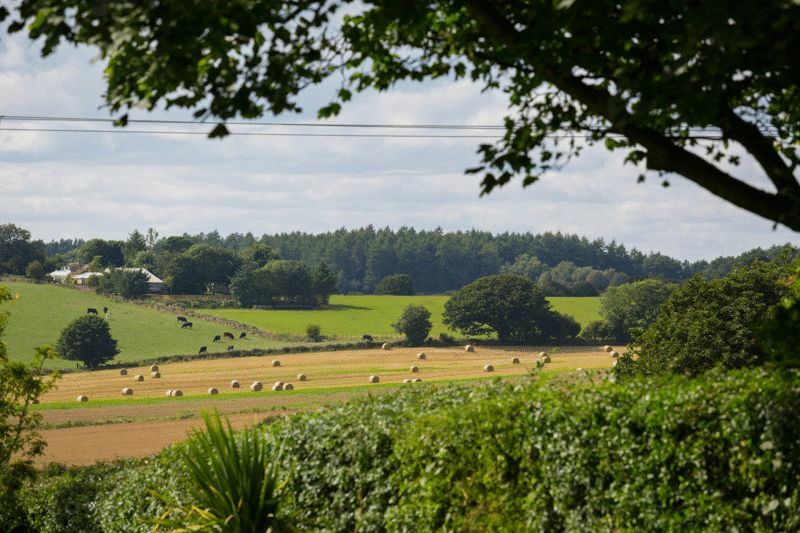 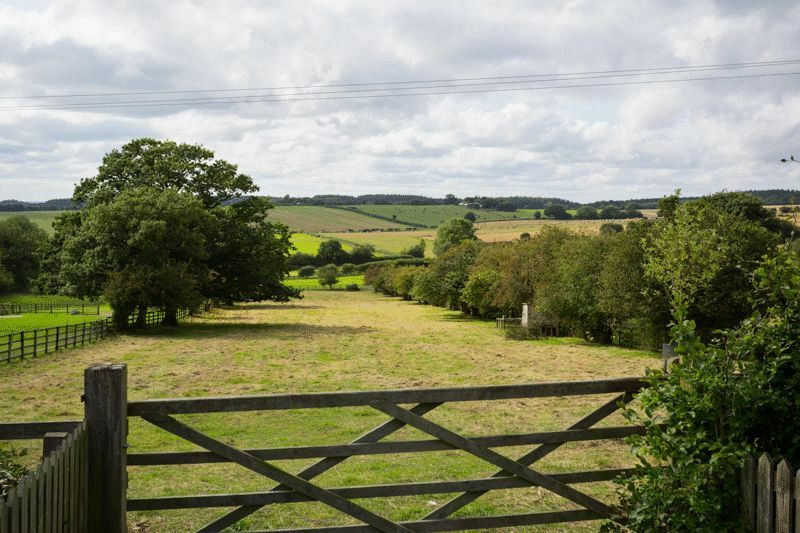 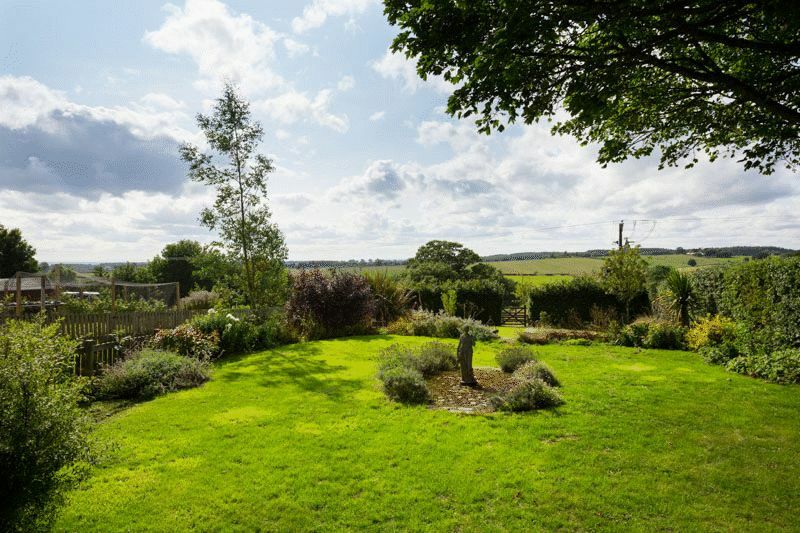 The village of Newton On Rawcliffe is found just north of Pickering conveniently, to a lesser or greater extent, within 35 minutes drive from Malton, Whitby, Scarborough and York. 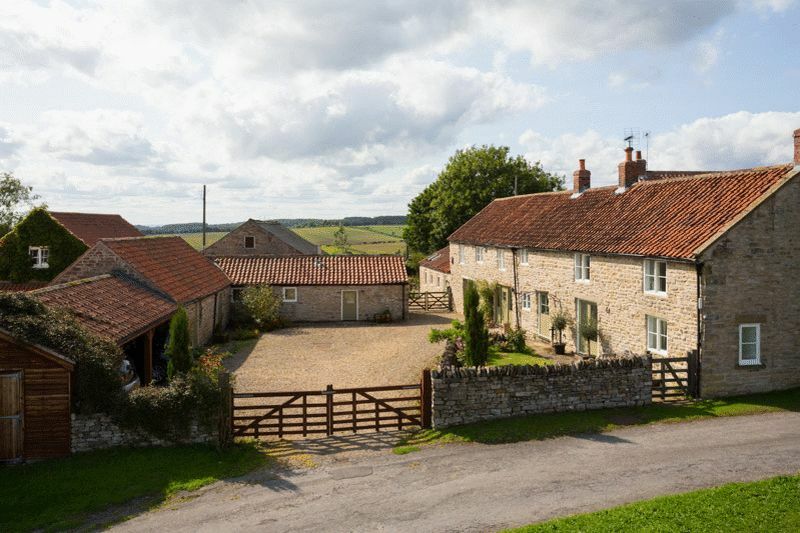 To the south lies Ryedale and to the north the North York Moors. 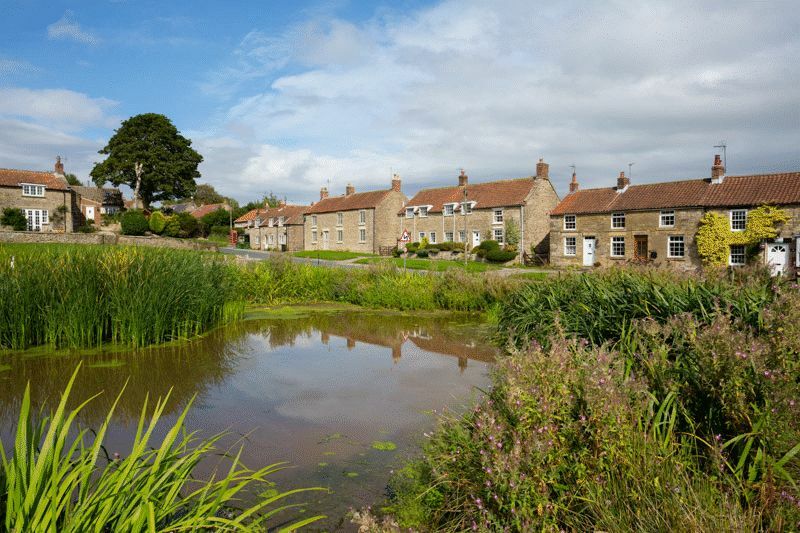 This pretty village is well known for its sweeping village green and duck pond; there is village pub and hall, church, methodist chapel and many local bridleways. 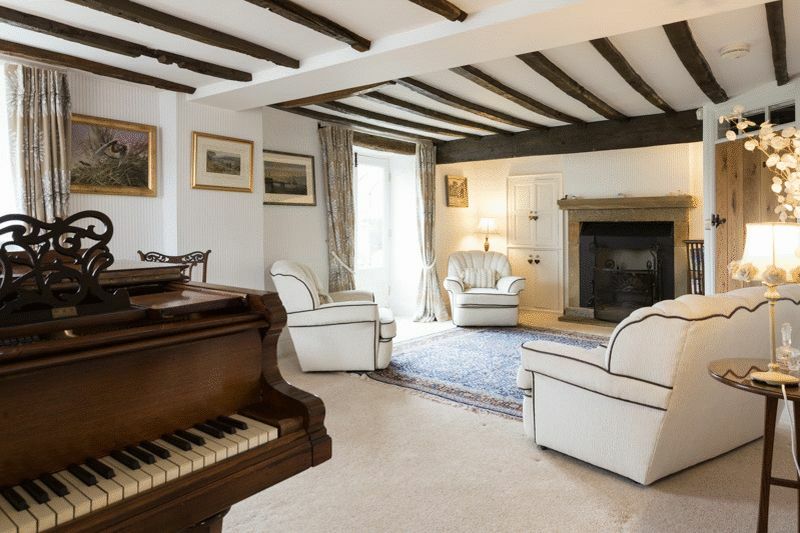 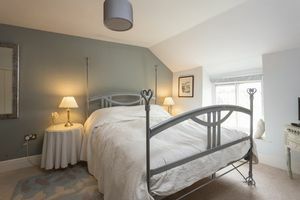 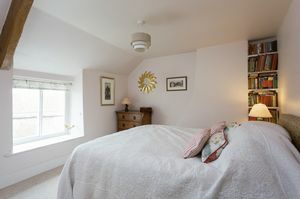 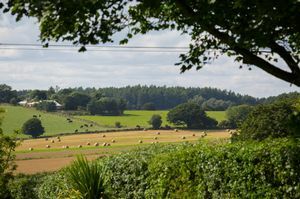 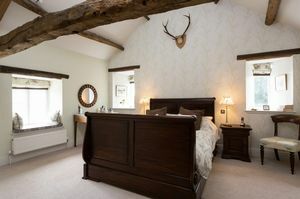 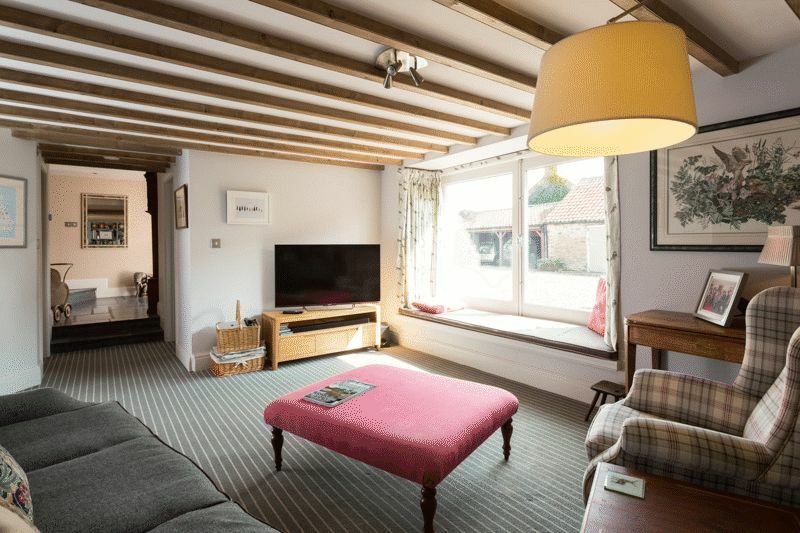 Pickering itself provides all the facilities one would expect of a thriving market town and nearby Malton has a railway station which connects, via York, to London in under two hours. Fixtures & fittings: Only those mentioned in these sales particulars are included in the sale. 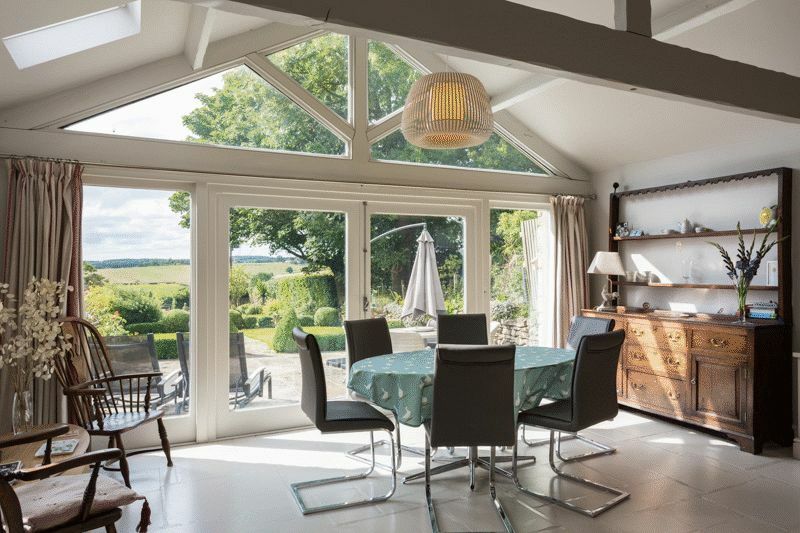 All others, such as fitted carpets, curtains, light fittings, garden ornaments etc., are specifically excluded but may be made available by separate negotiation. 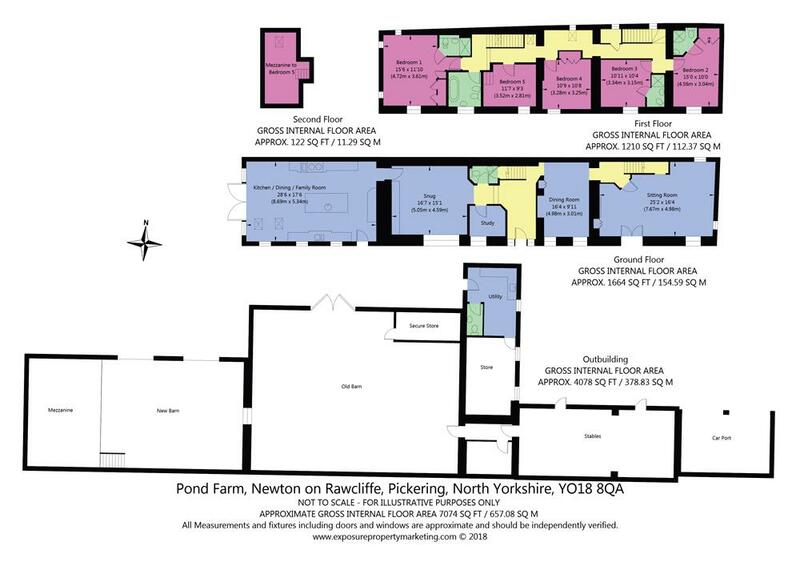 Directions: From Pickering head north to Newton on Rawcliffe. 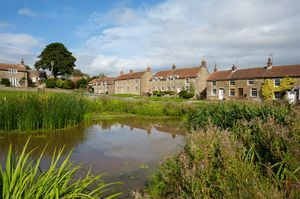 Once you arrive at the village take the unmarked lane that swings to the left off the main street and you’ll see Pond Farm on your left alongside the duck pond.